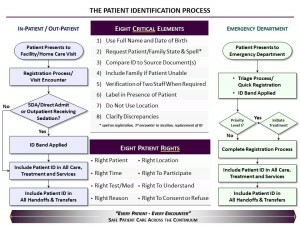 EngagingPatients.org Encore Presentation: Patient Identification Is Step One in Building a Culture of Safety - Welcome to EngagingPatients.org! Editor’s note: For its patient identification improvement project, North Shore LIJ Health System (now Northwell Health) was awarded the 2015 John Q. Sherman Award for Excellence in Patient Engagement. You can read further details about the program in their award submission. Nominate today for the 2017 Sherman Award! It’s amazing that patient identification has remained the No. 1 active Joint Commission National Patient Safety Goal (NPSG) for more than 10 years without garnering a significant amount of national attention or debate. The result is only modest pockets of improvement in reducing harm related to this critical patient safety issue. Organizations must address many important safety issues in healthcare. However, what could be more important than “first do no harm?” Patient identification is present in almost every patient interaction. Let’s consider the scope: It takes place in both the clinical and non-clinical settings and across the healthcare continuum. From registration, medication administration and tray delivery to diagnostic testing, electronic medical record entries, patient transfers, billing and even during a mass casualty disaster. Every event and near miss in patient identification has the potential to erode the trust needed to build a productive and effective relationship with the people and communities that we serve. Without a fully developed structure and process with established measures, monitoring of outcomes and an active and productive partnership with our customers (patients), the potential for risk and harm will remain. As with most organizations, we in the North Shore LIJ Health System knew that our providers and staff were passionately committed to providing safe and effective care, but, despite our best efforts, this continued to be a stubborn and recurrent issue. With leadership’s vision and support, we took a deep dive to examine ourselves and take the necessary steps to address this issue with our leaders, staff and the people and communities we serve. Engaging our customers and staff was integral to every phase of this journey. Surveys gave us critical information to create awareness, direction and urgency of purpose. Storytelling opened hearts and minds to the impact of poor practice affecting our patients, their families, the staff and the entire organization. Our solutions were guided by what we learned from our microsystems teams, patient and family feedback and best practices developed by frontline staff. We wanted both our staff and patients to be fully aware of their rights and responsibilities during the rendering or receiving of care. 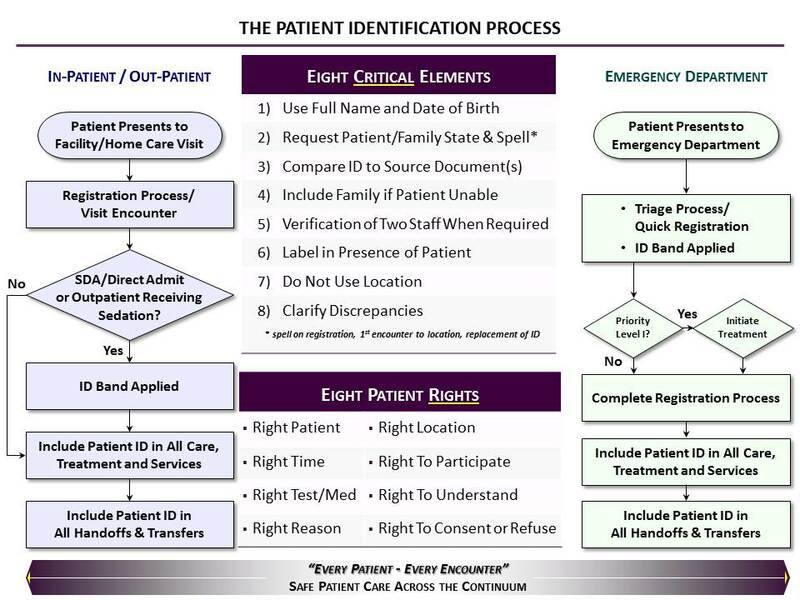 Through the development of the Eight Patient Rights and Eights Critical Elements of Patient Identification, we were able to frame the philosophy and the expected behavior for all. Building and sustaining a culture of safety is complex and required that we address the structure, processes and outcomes related to this patient safety issue. The structure was built from our newly developed, system-wide standardized policy that incorporated the Eight Patient Rights and the Eight Critical Elements. 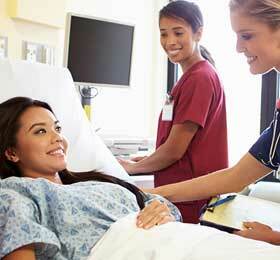 A patient identification education module was required for all employees that have patient contact. This was accompanied by an organized infrastructure that included an internal website to communicate and disseminate vital information, staff-produced videos, simulation and tools and resources. The external website promotes awareness and provides patients and families with key actions and tools to support them as active participants in their care. The processes were developed to support best practice. Each facility identified an area for improvement and mapped out the specific process steps and actions to build into their improvement work. A “bundle” was built for each participating facility/service line to help monitor compliance and outcomes. Additional tools, such as the “Stop Sign,” developed by frontline staff support patient and family engagement. The outcomes have revealed that this approach was successful due to the inclusion of frontline staff and our patients and families. Having performance improvement and change management expertise along with leadership support gave direction and momentum. Both staff and our customers have made the difference to this success. This is evidenced by the outcomes. Medication events related to patient identification have been reduced by 86 percent and specimen collection and labeling has been reduced by greater than 17 percent, most notably by an improvement in staff labeling in the presence of the patient. Other improvements are underway in Radiology testing, patient transport hand-off, food and nutrition tray delivery, and during point of care testing (POCT). We also see and hear the difference every day in the anecdotal reports and storytelling that makes it way from the many people and patients who have experienced this improvement in safety. One of the great examples comes from some of our out-patient testing areas that report a decrease in identified patient identification near misses at the time of testing due to recognition and correction of any issues earlier in the process – at the registration areas! As Allison Reilly, RN at Long Island Jewish Medical Center, observes, “There has been a noticeable culture change, the patients are feeling empowered and if the staff don’t ask timely enough for the name and date of birth, the patient will quickly let them know they didn’t ask. The patients definitely feel safer as a result of raising awareness around this practice.” In fact, to support this, we did a pre-post implementation survey of staff. In the post-implementation survey, we asked about the culture of safety on their units (four acute care hospitals). Eighty-three percent of respondents agreed or strongly agreed that the culture of safety improved since implementing the new process. We urge you to take on this issue with the energy and focus it deserves. We are happy to support your efforts by sharing our challenges and successes. Anna E. Gaeta, RN, BSN, MS, CPHQ, CPPS, and Denise McPartland, MS, are Assistant Directors, Quality Management-Institute for Clinical Excellence and Quality at North Shore LIJ Health System. Ms. Gaeta led the project to standardize Patient Identification system-wide, which won the 2015 John Q. Sherman Award for Excellence in Patient Engagement. Ms. McPartland was a member of the project’s Steering Team.